The Family Business Network (FBN) and Lombard Odier have rewarded three exceptionally promising young family business entrepreneurs as finalists in the 10th FBN NxG Lombard Odier Award. The finalists had the opportunity to pitch their projects to over 500 family business leaders at the FBN 29th Global Summit in Venice on 12th October, where the overall winner was revealed. 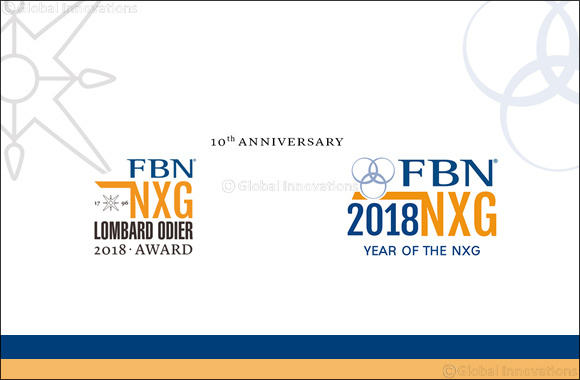 Dubai, UAE, 14th, October 2018: The FBN NxG Lombard Odier Award was created in 2009 to celebrate and support outstanding intrapreneurial and entrepreneurial projects initiated by the next generation of family business owners. The 2018 finalists were chosen by a jury of senior business leaders, entrepreneurs, and academics who reviewed candidates aged between 18 and 40 from 10 different countries1. The finalists and their projects were selected based on the following criteria: Innovation, Viability, Sustainability, Communication. This year, the FBN NxG Lombard Odier Award partners with SDA Bocconi School of Management who offered each finalist coaching sessions to help them pursue their ambitions. This included helping the finalists to prepare to present their innovative project and how they awaken their entrepreneurial spirit at the FBN 29th Global Summit. The winner will also receive complementary participation at one of the School’s international courses to improve their leadership and management skills, and academic tutorship to fine-tune their business plan. Frédéric Rochat, Managing Partner at Lombard Odier said: “We are very proud to be involved in this programme that fosters the future leaders of family businesses. As an independent seven generation family business, at Lombard Odier we fully appreciate the importance of innovation in this ever changing world. Our Rethink Everything philosophy means we constantly endeavour to use imagination and insight to provide fresh perspectives for our clients. Selin is a next generation member of Yasar Holding A.S., which, through its subsidiaries, engages in the food and beverage, coating, tissue, and tourism businesses. Her passion about social change and user experience design led 26 year old Selin to found Goodsted in 2017, a platform for socially purposeful individuals and organisations that would like to volunteer their skills or donate products and spaces to non-profit social projects. Her aim is to increase community collaboration for sustainable development by making it easier for more individuals and organisations to do more good in the world, more often. In addition to her startup, Selin is helping her food and beverage family business - Pinar - with UK marketing. She has previously worked as a Marketing Manager at Brand Finance in London, as well as in other marketing and advertising related roles in Dentsu Singapore, and Coca-Cola Company Istanbul. She has a bachelor’s degree in Business & Management from University of Exeter, and a master’s degree in Design & Innovation from Goldsmiths, University of London. Following the entrepreneurial flair she displayed during her bachelors degree, Selin won the Student Member of the Year award from the Institute of Directors in 2013, and was selected as one of the most Inspirational Women of the Year.